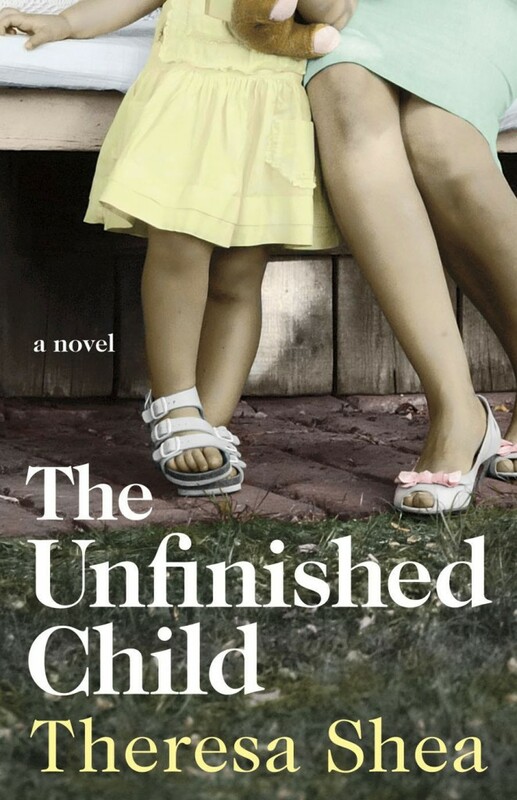 I downloaded The Unfinished Child by Theresa Shea to my Kindle based on the recommendation of another blogger and parent to a child with Down syndrome. The recommendation came as part of a comment to a post I wrote about prenatal testing for Down syndrome. This book was like no other book I have read revolving around the topic of Down syndrome. There were a few parts that were a little boring for me (a father) but those were overshadowed by the parts I found disturbing/tough to get through because of the love I have for my son. The book did not deal as directly as I had anticipated with the subject of prenatal testing but it was there. I have found that writing a review of a work of fiction is more difficult than anticipated. I am not exactly sure why that is other than there are aspects of the plot that I did not want to give away for the person intending to read the story. This is what I would call a “30,000 foot overview,” similar to the view of the landscape you get from an airplane. Shea, Theresa (2013-04-02). The Unfinished Child (p. 5). Brindle & Glass. Kindle Edition. The story begins in 1947 as Donald and Margaret are expecting their first child. The family drama is thick as Margaret left her rural upbringing to live in the city with her husband. The difference in background is magnified when they are told the baby they had been anticipating was born with a disability. From there the author paints a picture that I believe is a realistic depiction of the way things were; this is a picture that I wish could be unseen. If she had the baby, Marie didn’t doubt that she’d love it. But if she didn’t have the baby, then she’d be protecting her child from a life of exclusion. Wasn’t that a form of love? Shea, Theresa (2013-04-02). The Unfinished Child (p. 209). Brindle & Glass. Kindle Edition. That awful scene involved an institution where individuals with intellectual disabilities were kept out of sight. It was a place where they hardly existed and were never given a chance to develop any part of their abilities. The picture included parents that allowed a doctor to take their precious baby-girl away from them and then attempted to forget about her. Babies with Down syndrome were considered “unfinished” almost like a cake that was not given adequate time to bake. The author contrasts the dark picture of institutionalization with a modern-day storyline about two married women that have been friends since they were children. Marie is a thirty-nine year old mother of two that discovers she is unexpectedly pregnant with a third child. Her friend Elizabeth has always wanted to have children but despite years of fertility treatments was unable to conceive. Elizabeth had never known her biological mother but had a great relationship with her real parents – the ones that chose her. The tension becomes strong between the two friends as a result of the news about the surprise pregnancy. Marie and her husband find themselves debating about what to do with the pregnancy. They really did not want another baby but when their two daughters found out about the pregnancy it seemed pretty clear that they were going to keep the new family member. Then one night as Marie was sleeping she had a dream that there was something wrong with her unborn child. Her maternal instinct would not let the issue rest show she scheduled a doctor appoint. That is when Marie and her husband were faced with a new generation of medical/ethical questions. These are questions about genetic testing and the decisions that must be made based on the test results. As I said in the opening paragraph, this was a book about Down syndrome unlike any I have read before. There are a lot of interesting insights into how society has evolved in their understanding and acceptance of individuals with intellectual disabilities. You are also able to see that there still is a long way to go. If I were asked what the author’s view about prenatal genetic testing for Down syndrome I would not be able to tell you – I have glad about that. I think there is room for the reader to develop his/her own conclusions on the topic. However, I do think that the author shows you that the advances in medicine that make these tests available can be a two-edged sword. Overall I thought it was an interesting book. There were aspects of the story that I found difficult to read; there were certain aspects that hit a little too close to home. However, the book seemed to be clearly geared to a female reader. I am sorry if that comes across as sexist (I don’t intend it to be derogatory) but there were several aspects of the story that I found to be trivial and unnecessarily dramatic. There was also one aspect of the story that I really wonder why it was even included. I know this is going to sound like I’m romanticizing the past, but I envy our mothers that they didn’t have to decide whether to know or not. They just got pregnant and then waited to see what they got. Shea, Theresa (2013-04-02). The Unfinished Child (p. 202). Brindle & Glass. Kindle Edition. Reading a story like this that portrays life during a time when my son would have been discarded by society makes me very thankful for those parents and family members that have gone before me. They are pioneers that have helped to created drastic improvements in the treatment of individuals with all sorts of disabilities. I am talking about people like Eunice Kennedy Shriver and Emily Perl Kingsley among others. In terms of prenatal testing for Down syndrome I believe this book shows the complexity of the issue and the many pitfalls associated with this “advance” in medicine. I hope it is understood that I firmly believe it is a personal decision and I would never openly offer my opinion in a conversation with another parent unless solicited. But if I was asked I would say that you cannot make an informed decision about something that you have no knowledge. You cannot read about raising a child with Down syndrome and grasp what it is truly like, it is something that must be lived. As such, I hate that idea that the lives of unborn babies will be taken out of this type of ignorance. I’m also curious to hear how you took the male characters in the book. I found the male roles to be very troubling when it came to the women’s reproductive choices, but I found myself wondering how another father would see how the events unfolded. I’m still not finished with Solomon’s book, it is a giant! Do you think a man would get as upset as the female characters in this book because his friend made a life choice without telling him first – especially when that choice was made between him and his wife? Some men may but not most. There is a lot of that type of drama that I found to be a little cumbersome and only my opinion (I am willing to admit that I may have some developing to do in this area but men and women do tend to handle things differently). As far as the male roles, I do have some stronger opinions on them. There was a lot about the storyline between Ron and Elizabeth that I could relate with. Leigh Ann and I did struggle with some infertility issues and although not at the level of these characters. Like Ron, there were times when I was very ready to be done with it and move on but instead continued because I understood how important it was to my wife. For Barry, I thought he was a coward. It’s that simple for me. I would have understood if he was scared, or reluctant, or simply did not want another child. As soon as Marie started talking about keeping the baby and he resisted even the idea I could not believe it. In my view a man can have such thoughts and feelings but when the woman he loves is so clearly struggling and hurting over something like this he would be willing to do whatever it took to support her. As far as your term the “women’s reproductive choices,” that is a bit troubling for me. As a husband and wife that child’s existence required both so the choice is not completely the woman’s. However, there is no denying that the impact is greater on the woman than the man and I feel should be taken into consideration. I am never short on opinions so if there are other specific areas you are wondering about let me know. Also, I do recognize that my opinions are limited to myself so I am OK when others see things differently. Thanks for your comments Jisun.